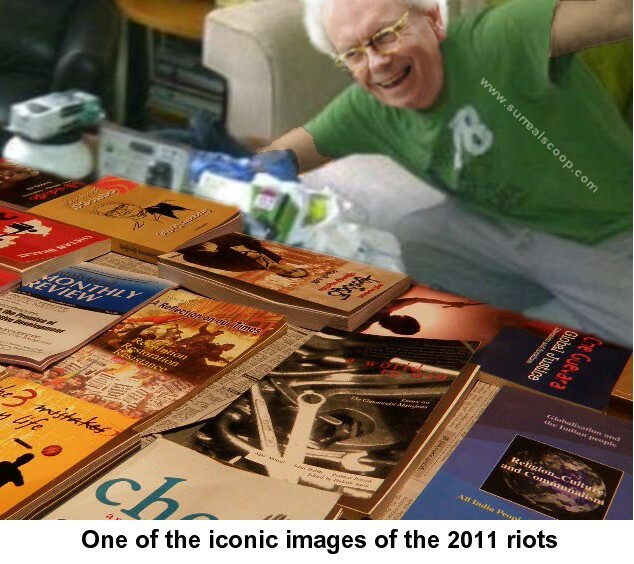 In a controversial interview, constitutional historian David Starkey has provoked outrage by claiming that the recent riots were not in fact protests but where a result of the oppression and ostracising of white scholarly historians from mainstream culture. 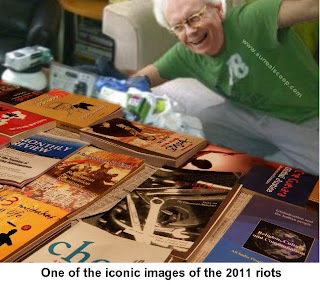 Mr Starkey was speaking during an interview in which he defended the mass looting and lawlessness that appears to have been perpetrated by groups of masked historians and economists as they smashed the windows of Waterstones, Foyles and antiques shops everywhere. Onlookers said that the gang of academic may claim to be protesting, but really it was just an excuse for robbery and intimidation. The controversy has been sparked after Mr Starkey claimed during a TV discussion that recent looting in England’s most significant cities, and Manchester, was conducted by a homogenous youth culture that had come to revere the urbane, sophisticated analytical style of the Oxford don, or a 60 year old television historian. Starkey was unrepentant in the face of much criticism. Fake! That just didn't happen! Er, isn't that the point of the story? Yeh, niggaz wana look bad! The man is an idiot, how can you criticise a group of society that wants to be bad? Loads of white kids want to be gangsters, want to have the look and the attitude. Walk and talk like in da hood. And then they start looting. It isn't black culture, it's just scum culture. Just happens to be populat with the hip-hop community.